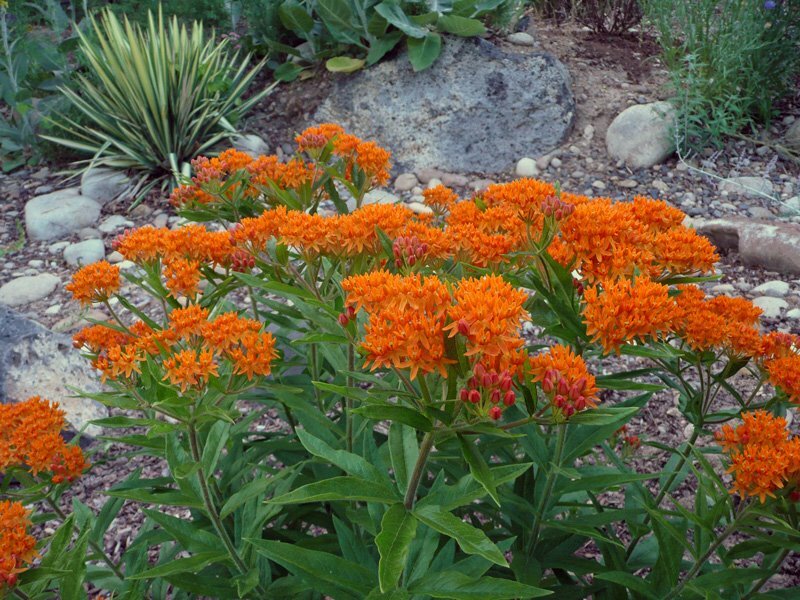 I love our Butterfly weed (Asclepias tuberosa). We originally planted four of these in the back garden around our spruce tree. As the spruce grew it began shading them. Not a good thing, so two years ago we dug them up and planted them in the front xeriscape garden. We were afraid they wouldn't transplant well due to their deep taproot. But they're flourishing now. This year we've noticed more of them. Around the spruce. Again. They must have spread from seed I'm guessing. We'll pull them out and try transplanting those also. Remember these lovely desert candles (E. elwesii)? This group is still blooming in the front garden. Here is why you want to plant them behind something. The foliage turns ugly when they're finished blooming. We have these pretty much surrounded by Russian sage (Perovskia). In the back garden Kim's favorite rudbeckia is blooming. I don't know which it is, doubt we ever really knew. But it is a lovely flower. 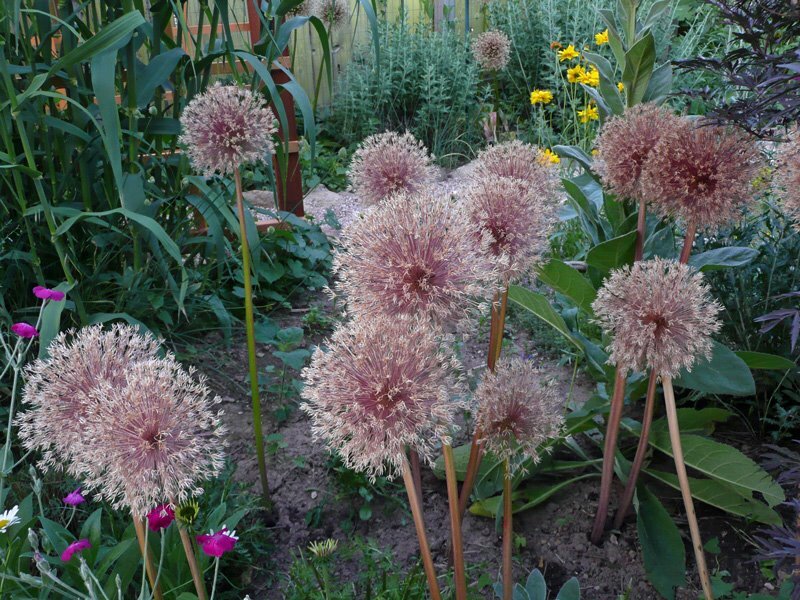 I think I might leave these dried allium heads in place. Of course that could be because there's nothing there once they're gone. Hmmmmmm.....should have spread some cosmos seeds. I'll make a note of that for next year. Or, I could try planting these. More co-op culling. I picked up two flats of these dianthus last night at work. There were four flats of them in the "free" area. I picked up one flat then went back for another. They don't look like much now but the plants themselves are in fine shape. After I deadhead them and plant them out they should be blooming again in no time. At least I hope so. If not, I haven't lost anything. The tag says they're Dianthus-Corona-Cherry. Annual. But that's OK with me. And does it seem as if summer is just flying by? It certainly does to me. The Roman candles are elegant, but casual at the same time. 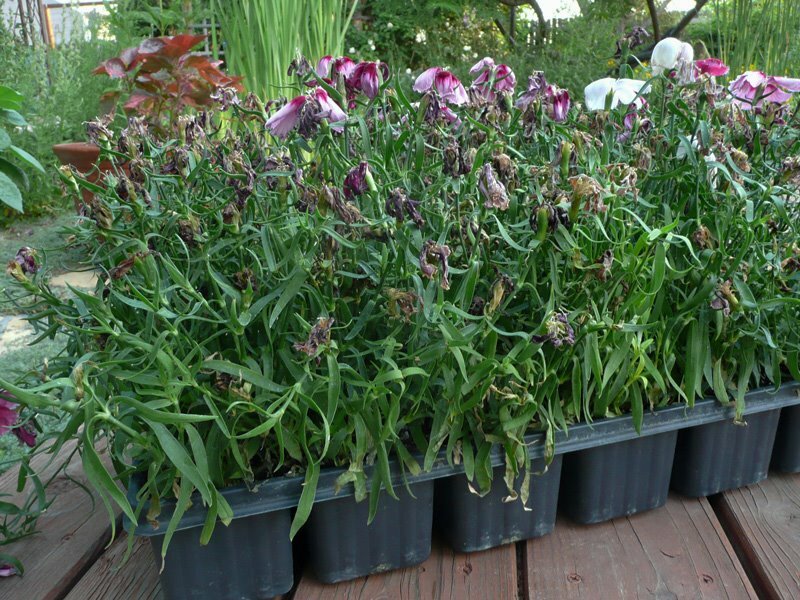 I know you will have those Dianthus blooming in no time, with your green thumb. :-] And then they will reward you for several yearsto come. I love freebies! Dried allium heads won my heart! Love them! Dianthus might grow as perennia I think. 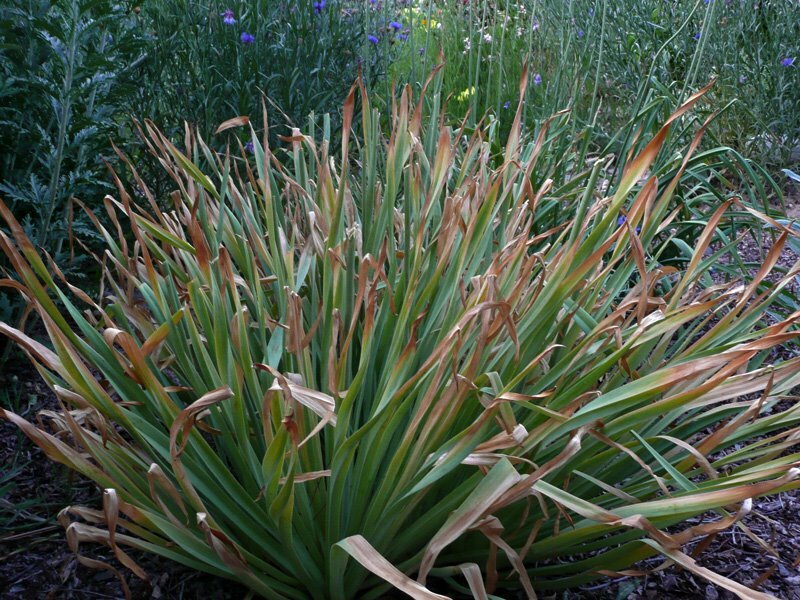 I have one plant and somehoe it survives wet cool winters. Does Kim have a twin named Tom Owens? He is my ex's ex. BTW I'm the killer of many Butterflyweeds, KUDOs on growing them and even moving them. 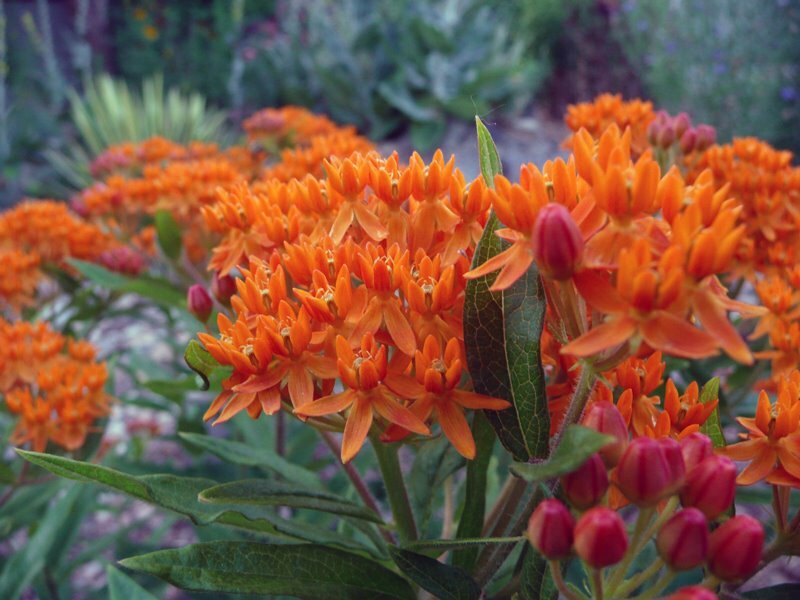 I love the Butterfly weed. I'd never really seen pictures of it before this year, I thought it was an annual. It's really pretty. 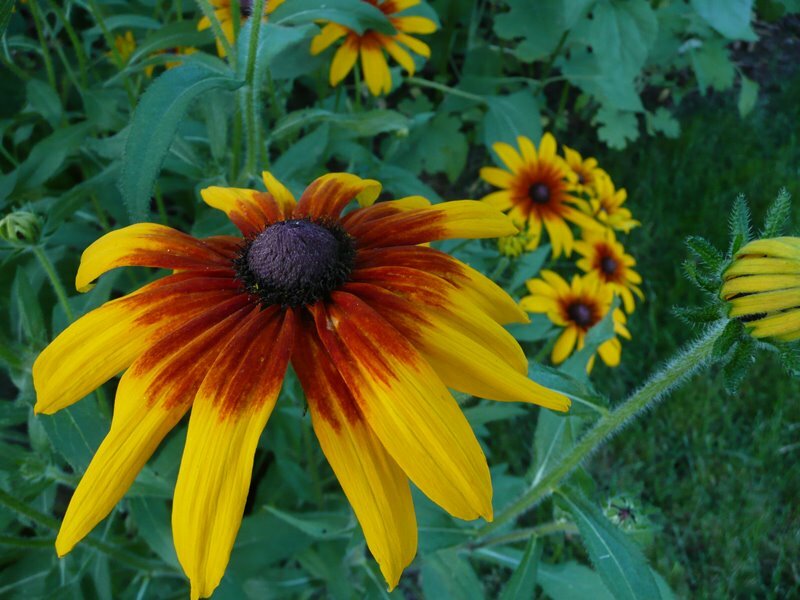 I love the rudbeckia too. Looks like you got the best deal on the dianthus! 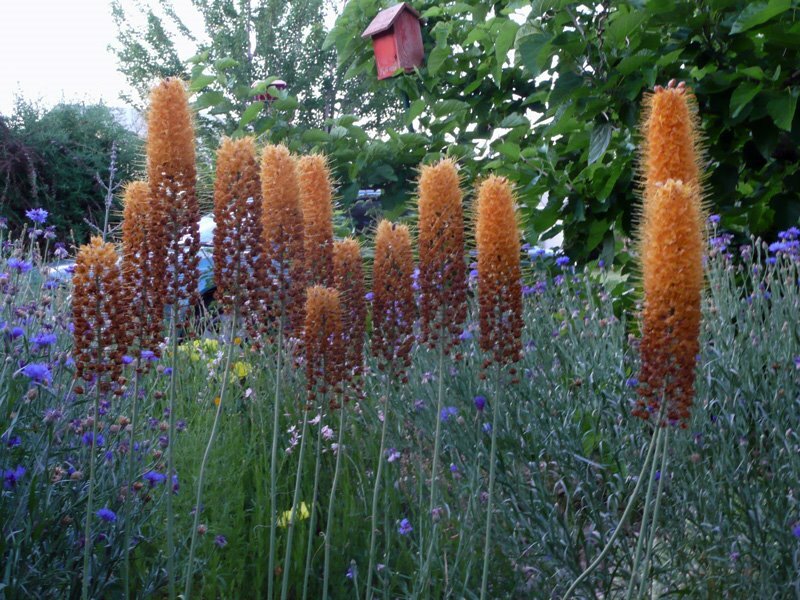 oooh, what beautiful photos of the foxtail lilies and the butterfly weed. I wish I had a stand of the lilies as big as yours. I only had one bloom each of orange & yellow. Maybe next year?? Is it too late for planting cosmos?? They grow pretty fast ~ maybe there's still time? Your butterfly milkweed looks awesome! I planted some this year in a couple spots... now that I've seen yours I'm glad I planted it. I love your butterfly weed too! I've tried starting it from seed, but not luck yet. If I can find a plant at the nursery, I'll take the easy way out.